Comes on normal TDK cassette with pink inlay card. No tracklist appears on inlay. 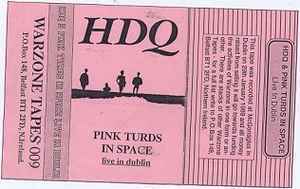 This tape was recorded at Mcgonagles in Dublin on 29th January 1989 and all money raised from selling it will go towards funding the activites of Warzone in one from or another.